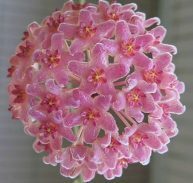 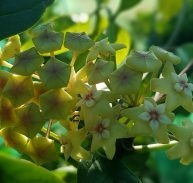 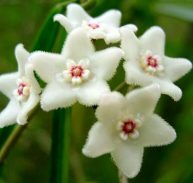 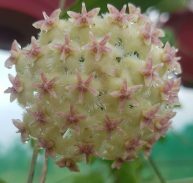 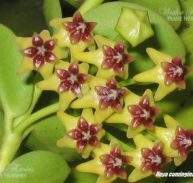 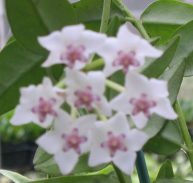 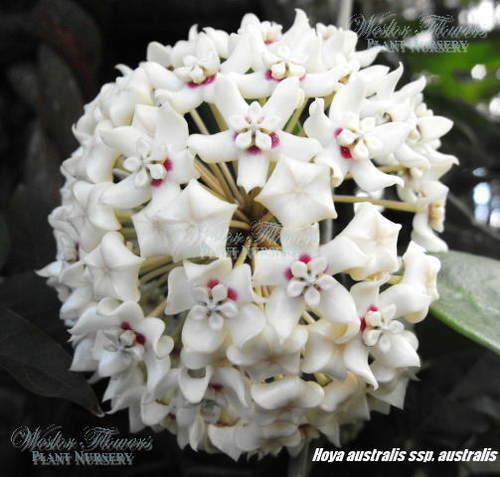 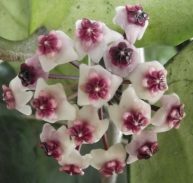 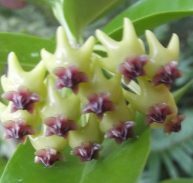 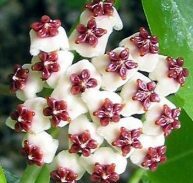 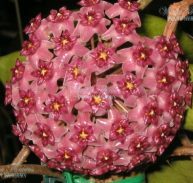 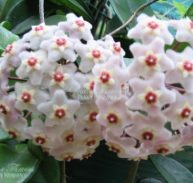 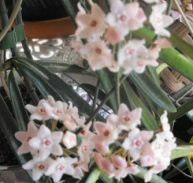 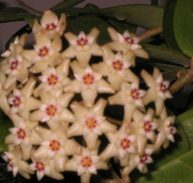 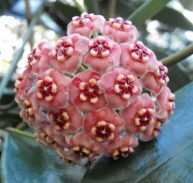 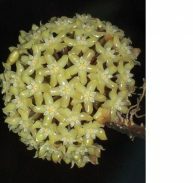 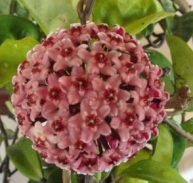 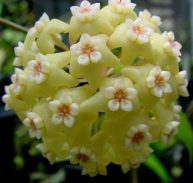 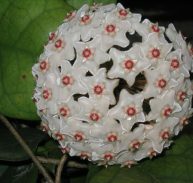 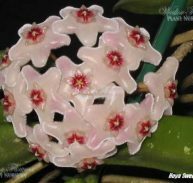 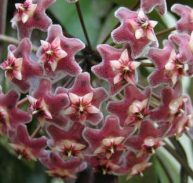 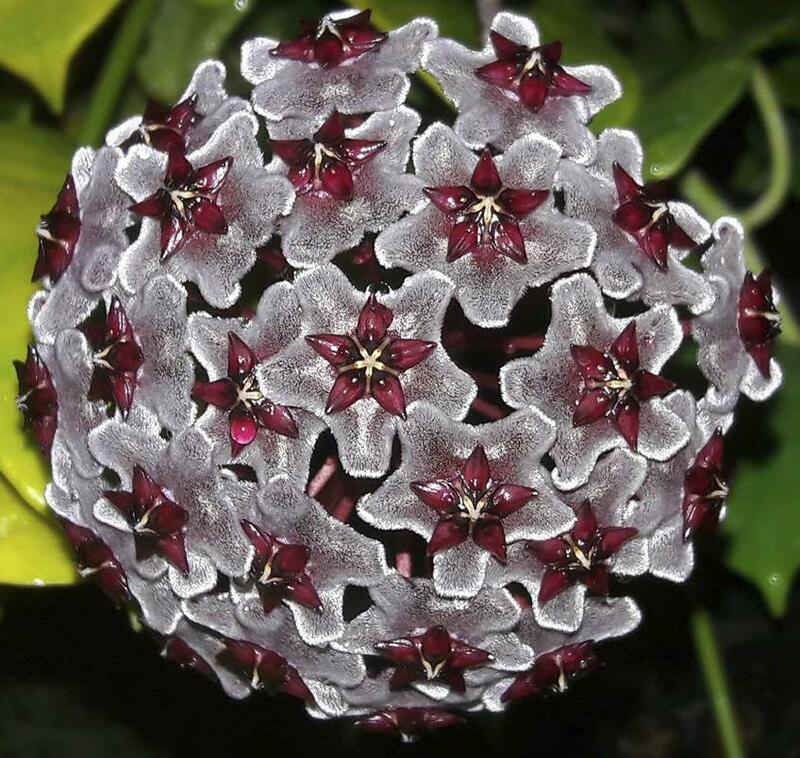 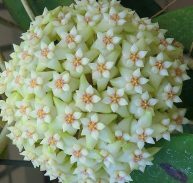 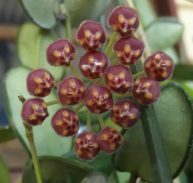 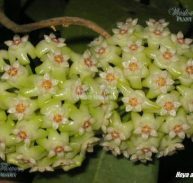 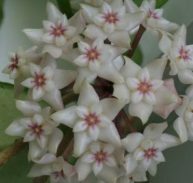 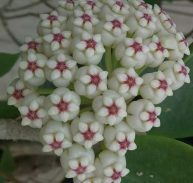 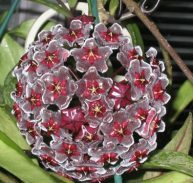 Hoya odorata is a native of the Philippines, and is a small, non-twining shrub with perfumed flowers. 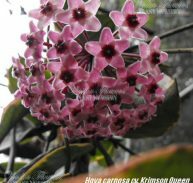 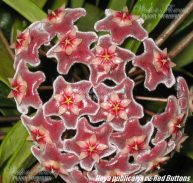 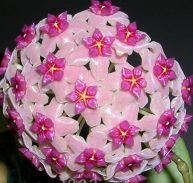 The Hoya odorata leaves are thin and a rich copper to deep pink colored when young. 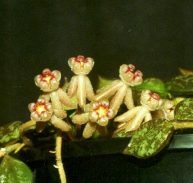 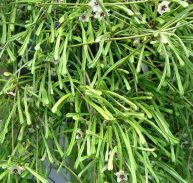 The stems have an upright habit until they begin to flex as they grow longer. 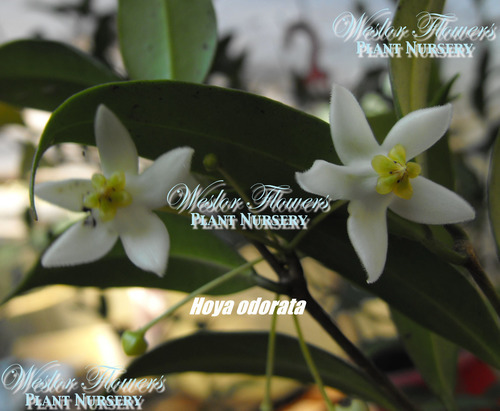 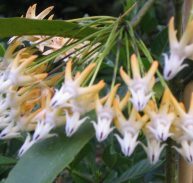 The flowers are white with a yellowish centre wonderfully fragrant and have a crisp, clean, waxy appearance. 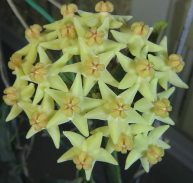 The fragrance is somewhat citrus-like but sweet. 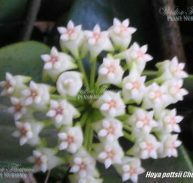 Unusually for Hoyas, the flowers seem to be very seasonal, forming in the autumn. 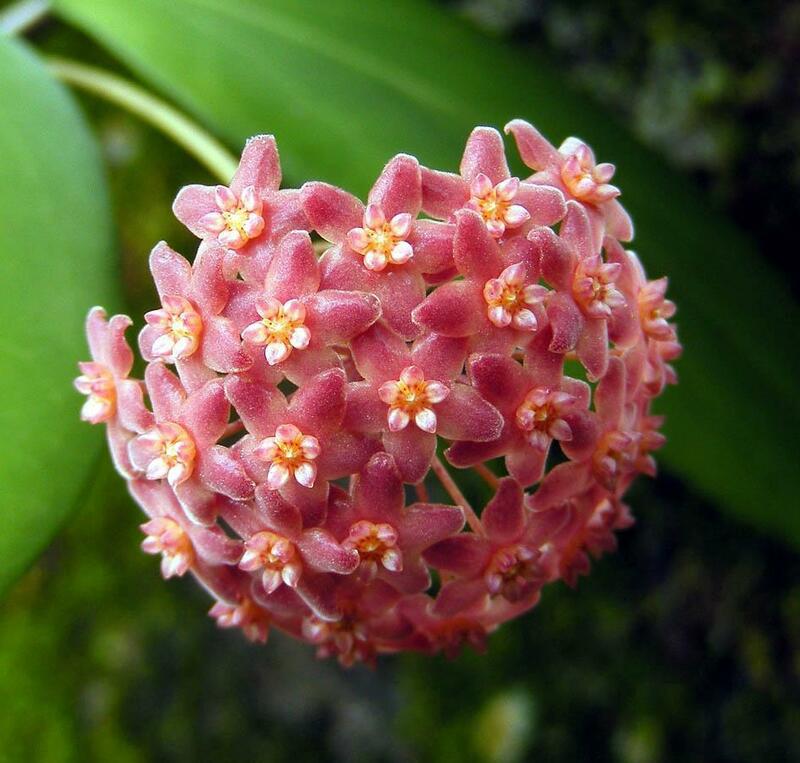 This plant has moderate to slow growth. 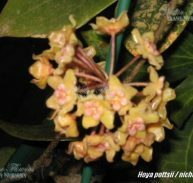 This Hoya is also butterfly and bee attracting.